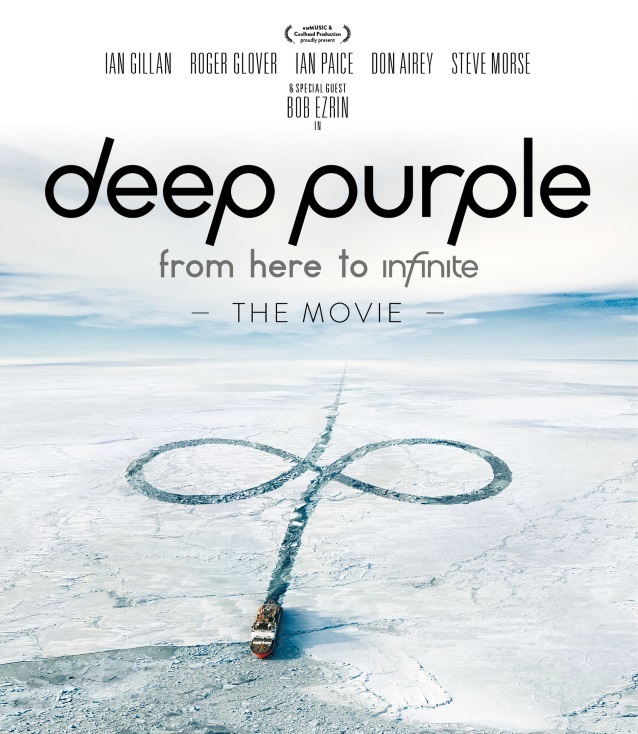 British/American hard rock legends DEEP PURPLE and earMUSIC have announced the release of the ninety-seven-minute documentary “From Here To inFinite”, which is due out on November 3. It shows the history and origin of “inFinite” and provides a deep insight into the workings of the band for the first time on Blu-ray. The Blu-ray further includes two hours of bonus material, including music videos such as “The Surprising”, three previously unreleased live videos (“Time For Bedlam”, “Birds of Prey” and “Smoke On The Water”), all filmed and recorded at Hellfest 2017, as well as in-depth behind-the-scenes footage, movie documentary outtakes, interviews, and an audio commentary by DEEP PURPLE themselves — all previously unreleased. A trailer for “From Here To inFinite” is available below. In conjunction with the release of the Blu-ray, DEEP PURPLE and earMUSIC are also releasing “The inFinite Live Recorings, Pt. 1” on a special three-disc vinyl LP, produced by Bob Ezrin. This was recorded at Hellfest 2017, the biggest metal festival in France and contains a brand new previously unreleased eighty-minute live performance.